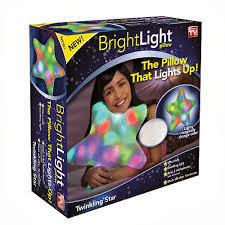 Have you seen the infomercial for the BrightLightpillow? My son has wanted it ever since! I was thrilled when they sent it to us to add to our Christmas Gift Guide. 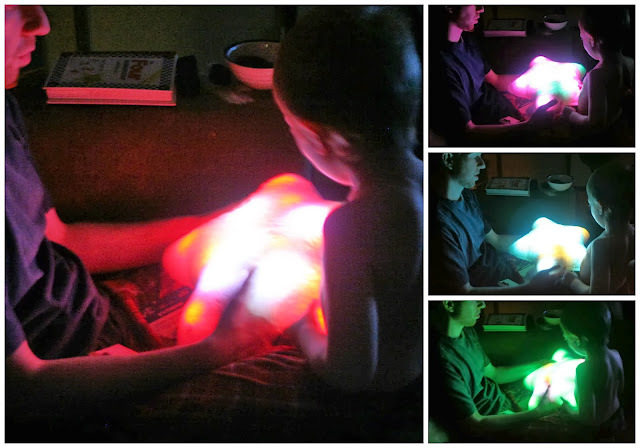 My son was beyond excited to get his hands on it and after we put the batteries in it he has slept with it every night. The pillow is so incredibly soft and you cannot feel the LED lights in it. It has a nice soothing glow that changes colors. Since my son likes to sleep with the BrightLight pillow. I am glad that it has a timer on it and will shut off after 15 minutes. We have had the pillow for a couple of weeks now and have not replaced the batteries (takes 3AA not included) once! My son loves taking this pillow with him and it’s great since it is like a nightlight so he won’t be scared at night. I really like the BrightLight and I think it would make a nice gift for that child on your Christmas list! Purchase your own online at Amazon or in store at Wal-Mart!